We know you’re busy so to help you out we’ve put together a handy cheat sheet. 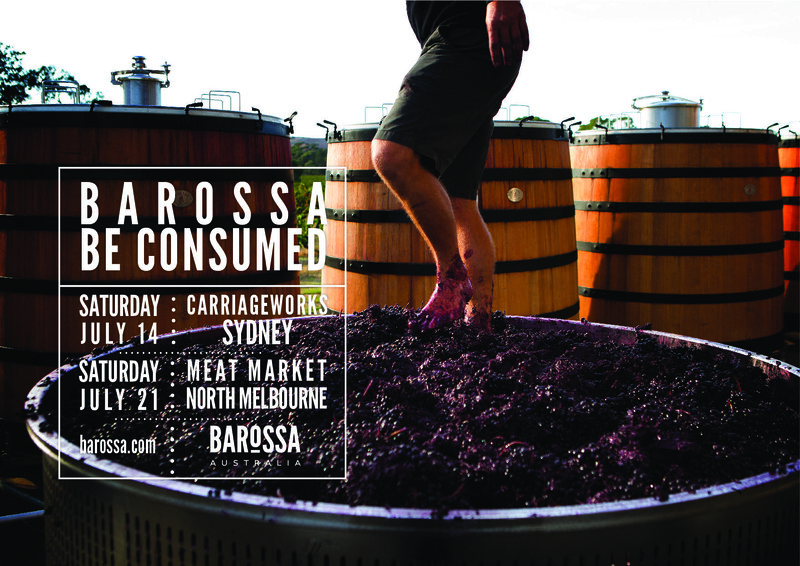 Below is everything you’ll need to share news of your involvement in Barossa. Be Consumed with your customers, trade, email database and social media followers. WE WANT TO PROFILE YOU! We want to feature you on our website and via our multiple social media channels. For us to do so, we need you to please answer the questions in this quick survey (link below). We want to know more about you, your region and what you’re listening to at the moment. We have some great content ideas around this and your assistance will go a long way to making it happen. We’ve got the words and the images; all you need to do is copy and paste from the below. Feel free to tweak the copy to suit your own tone – we’re totally cool with that – or use the Instagram copy on Twitter and vice versa. You can also disregard us entirely and create your own content – whatever works for you! As long as you’re talking about yourselves and your involvement in Barossa. Be Consumed. Tag @BarossaWines on Facebook in order for your post to appear in more people’s newsfeeds. On Instagram, tag @BarossaWines both on the image and in the copy to make it easier for consumers to find your page. To increase reach on your INSTAGRAM posts also consider using: #Barossa #BarossaWine as part of your caption/comment. 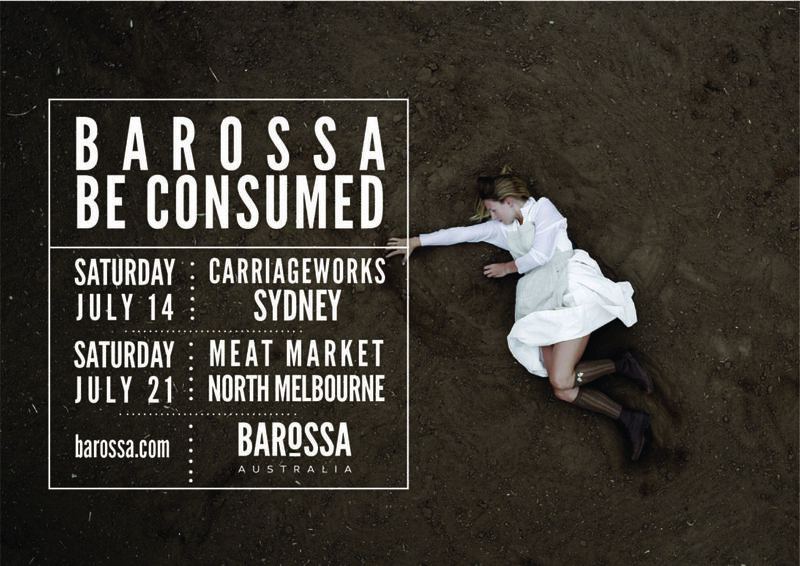 And make sure you use the hashtag #BarossaBeConsumed for INSTAGRAM and TWITTER posts so we can find you! 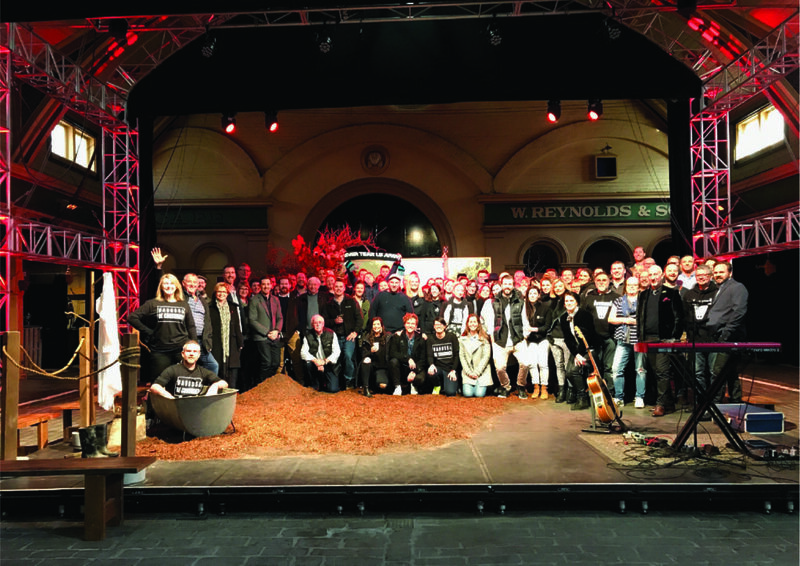 The Barossa is all life’s great pleasures, in one unique place. 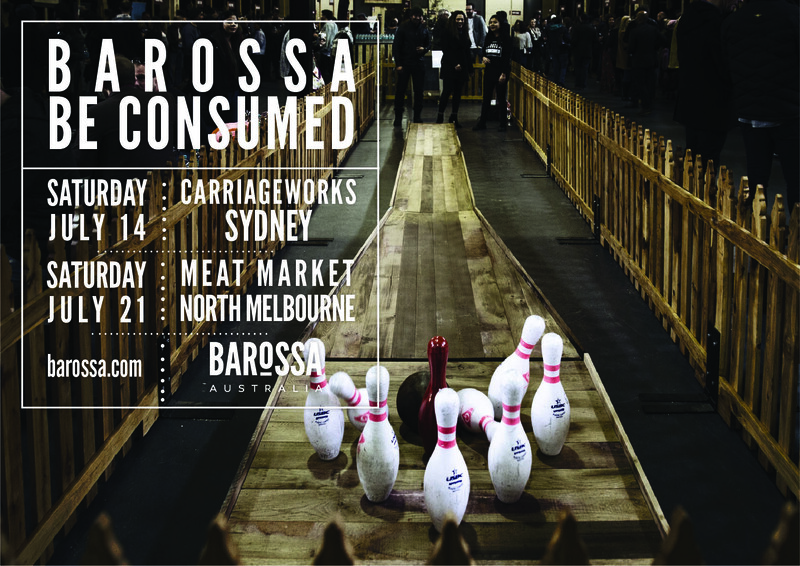 We want to share it with the rest of Australia, so we’re heading to Melbourne & Sydney for #barossabeconsumed. Over 40 of our best wineries, food producers and more will head to Sydney & Melbourne for #barossabeconsumed, including us. Can’t wait to see you there. Again, we’ve got the words and images for you so all you need is copy and paste from the below. 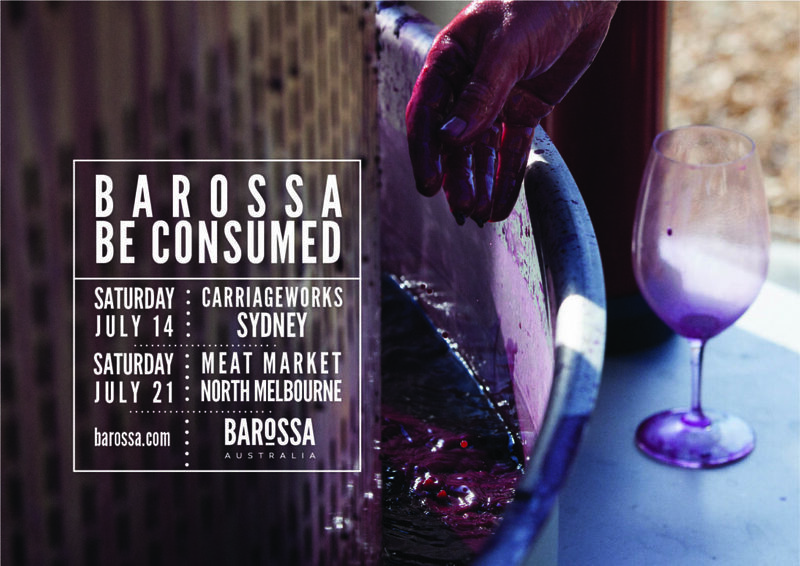 Remember to tag our Twitter handle @BarossaWines and our hashtag #barossabeconsumed. The Barossa’s best food, wine and culture will head to Sydney & Melbourne for @barossawines #BarossaBeConsumed. We’ll see you there. 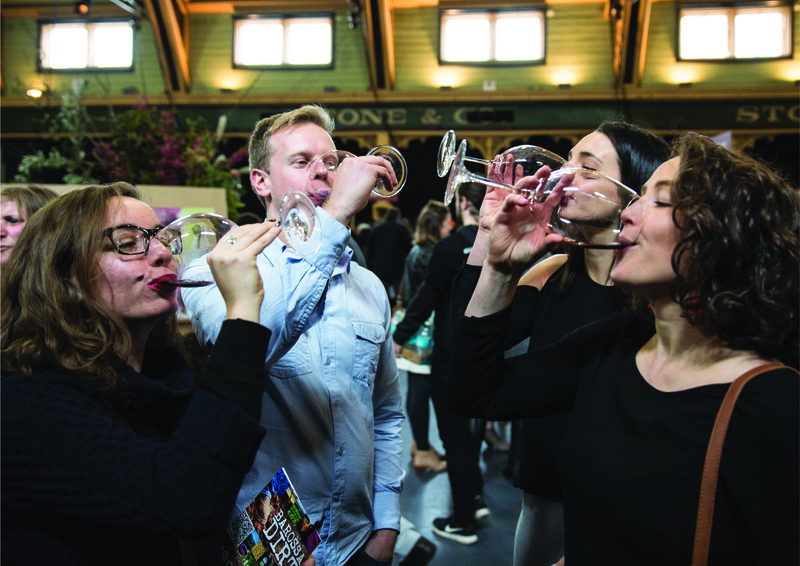 #BarossaBeConsumed is about more than the region’s wines. It’s an immersion into its food and culture as well. 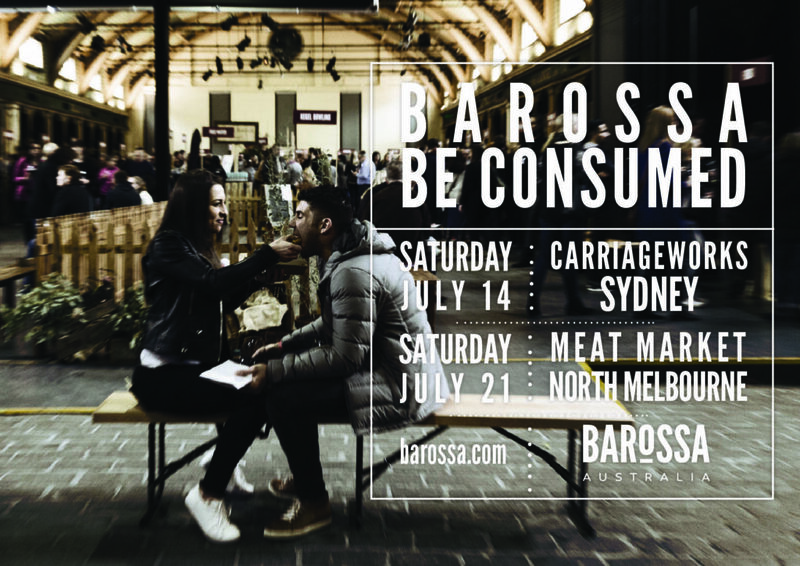 The Barossa’s best food and wines are heading to Sydney & Melbourne for #BarossaBeConsumed – we’ll see you there. We know how special the Barossa is. It’s our sun, our dirt, our home. It’s only fair for us to share the best of our region with the rest of the country. 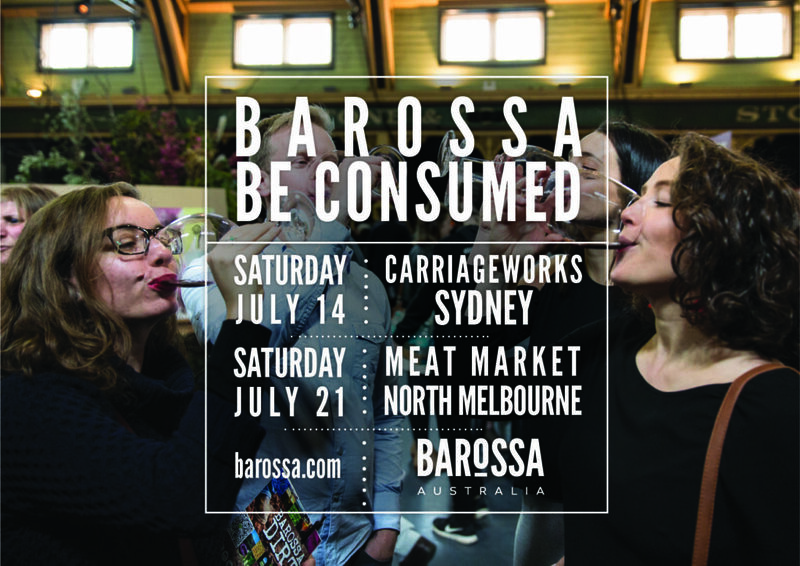 It’s why we’re heading to Melbourne and Sydney for Barossa. 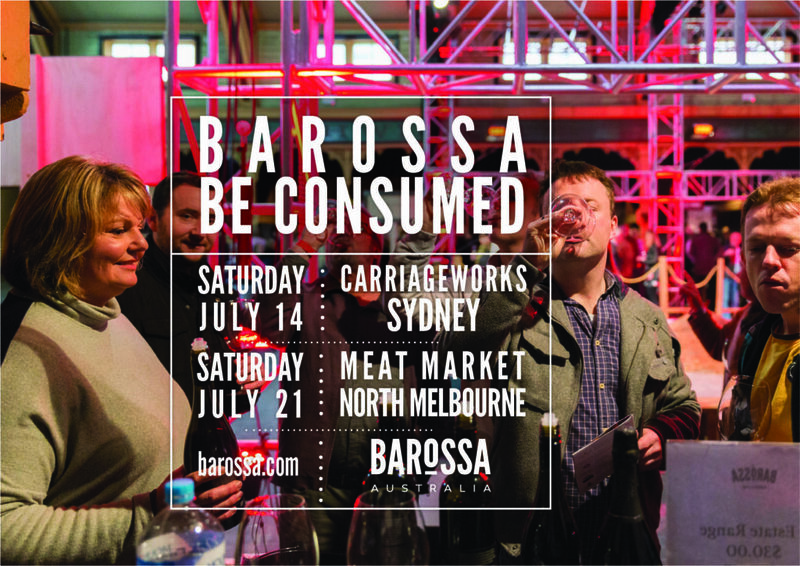 Be Consumed – a one-day celebration of the best of the Barossa. Come down and help us celebrate what we’ve got – amazing food, wine, history and culture. We’ll put a glass aside for you. YOU CAN ALASO DOWNLOAD A BUNCH OF OTHER IMAGES HERE!